The ring-tailed lemur is a kind of single primate in Madagascar. It lives mainly in the rainforests of south of the island. It belongs to the order of lémuformes and belongs to the family of lemurs. 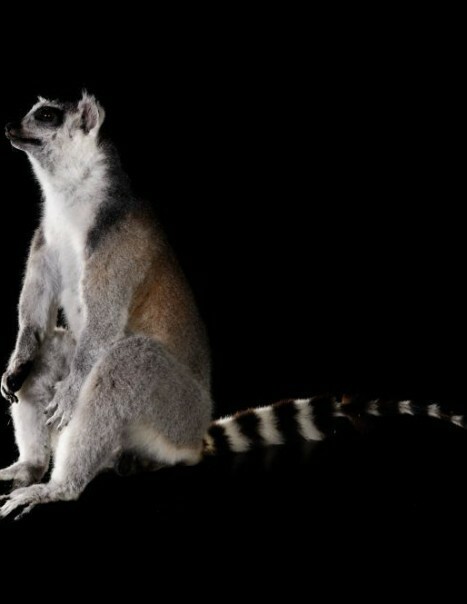 The ring-tailed lemur is recognizable by its long striped tail with 14 rings of black and white colors. Its coat is gray except the plastron is white. Its face and ears are white. Its nose and around its eyes are black. Its body is about 40 cm. Its tail longer than its body, can reach 60 cm. It weighs 3 to 4 kg. It is an omnivorous mammal that lives in trees. 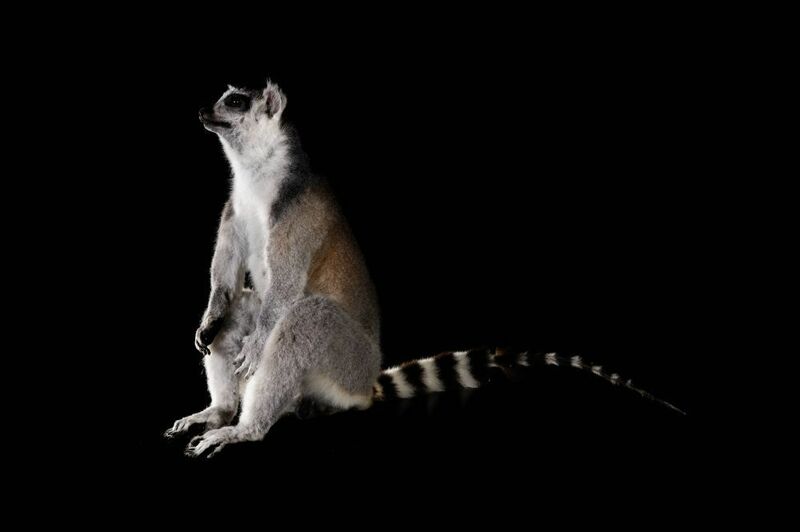 The ring-tailed lemurs are evolving in group, consisting of 20 individuals, under a matriarchal system. They move from tree to tree leaps up to a distance of 10 meters. On the ground, they move by hopping diagonally. Its diet consists mostly of fruits and leaves. It may supplement its diet with flowers, grass, bark, sap, spiders, small insects and small birds. It is sexually mature between 2 and a half years and 3 years. The breeding season is between mid-April and mid-May. During the mating season, males give off a stench every single individual. They compete in this way in order to conquer a female. This secretion is produced by glands located on its arms and sexual organs. The winner is the one who gives off the strongest odors. The gestational period is 135 days. The mother gives birth to only one small each staff except twin gestation. At birth, the little weighs around 70 g.
The ring-tailed lemurmay live up to 20 years in captivity. In the wild, its lifespan is 7 years. This species has no known predators except humans who hunt for meat, to make a pet and illicit traffic. The destruction of its natural habitat is the greatest threat to this species.